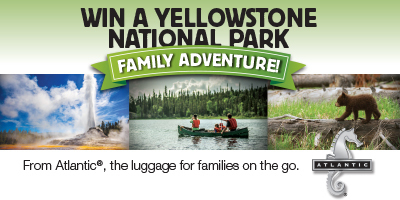 Win a Yellowstone National Park Family Adventure! 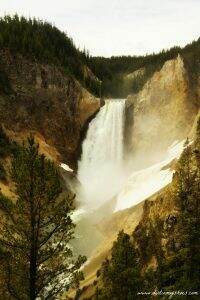 I have very fond memories of visiting Yellowstone National Park with my family many years ago. I felt lucky to see Old Faithful spit water high into the air, hear the thunderous roaring of Yellowstone Falls, and take slightly blurry pictures of elk, buffalo, and bears with my $20 camera. Maybe you’ve been wanting to take a trip to Yellowstone with your family, creating memories that last a lifetime. 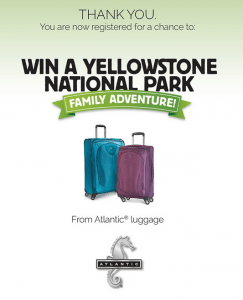 That is why I am excited to partner up with Atlantic Luggage to announce that you can enter to Win a Yellowstone National Park Adventure ! This giveaway runs through October 31 so head on over to the website and put your name in the running. The prize package includes 4 roundtrip airline tickets, 3 nights in a Yellowstone National Park cabin, admission to the Grizzly and Wolf Discovery Center, $500 in spending money, and 4 pieces of carry-on luggage from Atlantic Luggage! I’ve done my fair share of traveling and am always on the lookout for great products that last. This luggage is backed by a 10 year warranty, comes in a variety of colors, is extremely lightweight yet durable, and has 360-degree spinner wheels to make traveling with your family a breeze! If you are interested in learning more, be sure to click over to Amazon to get a Special offer on Atlantic Luggage 21” Spinner . 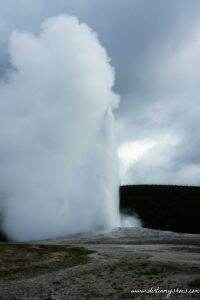 I am more than happy to help you plan your dream trip to Yellowstone! I have created a detailed guide that outlines 12 things you can’t miss! As always, feel free to contact me here or on Facebook with any questions you may have. Map of Yellowstone – this Park is large with so much to see, so be sure to have a good map with you, especially if you are planning on hitting the trail. Bear Spray – although you can’t take this on the plane with you, make sure you have some if you want to go hiking. You can rent bear spray in front of the Canyon Village Visitor Center if you don’t want to buy it. Rain Jacket – every member of your family should have one. Yellowstone gets a surprising amount of rain and having the proper gear will make all the difference. Snacks – your kids will thank you for these when you are stuck in a bear-jam on the side of the road! Camera – this is a definite must to capture the memories. Binoculars – there’s always more than meets the eye. We were so glad that someone nice let us use their binoculars to see wolves in the Lamar Valley, but we definitely wished that we had brought our own! 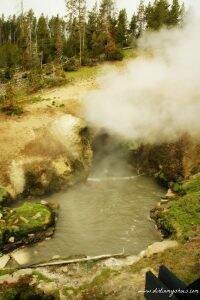 Dragon’s Mouth was one of my favorite geysers! 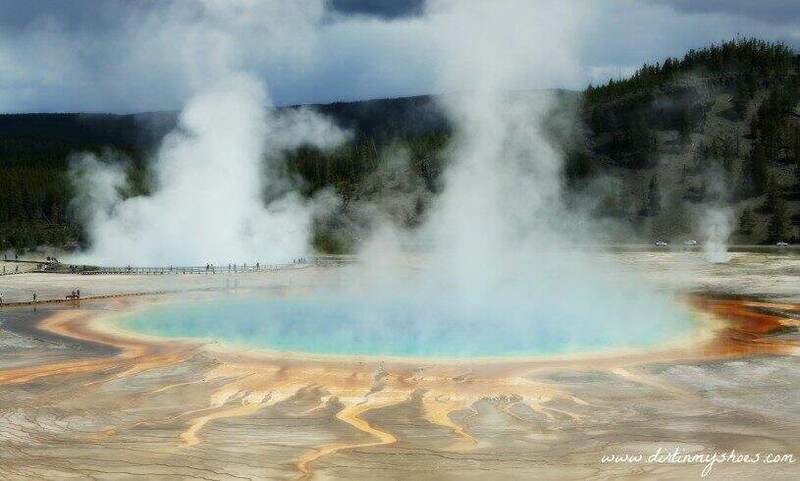 Visiting Yellowstone is an experience you will never forget! Click here to enter the giveaway! It is quick, easy, and there is no purchase necessary. Good luck!